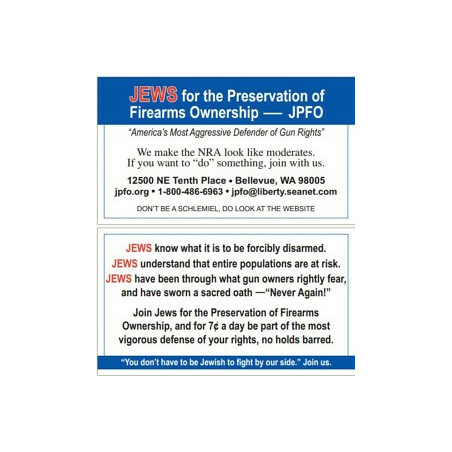 Here's something inexpensive and very simple; the JPFO Power Promo Card 100 pack. The card is double sided (see the two sides in picture), business size, and it is printed on glossy, slick, heavy stock. 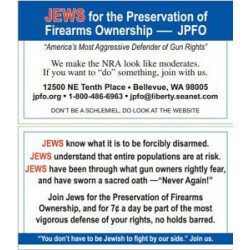 It is IDEAL for handing out at gun shows, gun clubs, and events. You might even ''accidentally'' leave the odd one here and there!